1Put extra virgin olive oil, chopped onion and garlic in a saucepan. Cook until golden. 2Add small pumpkin cubes and stir for 2 - 3 minutes. 4When ready, add rinsed rice, stir to coat and gradually add vegetable broth, until the rice is ready. Cook over medium heat and remember to stir often. Season with salt and pepper. 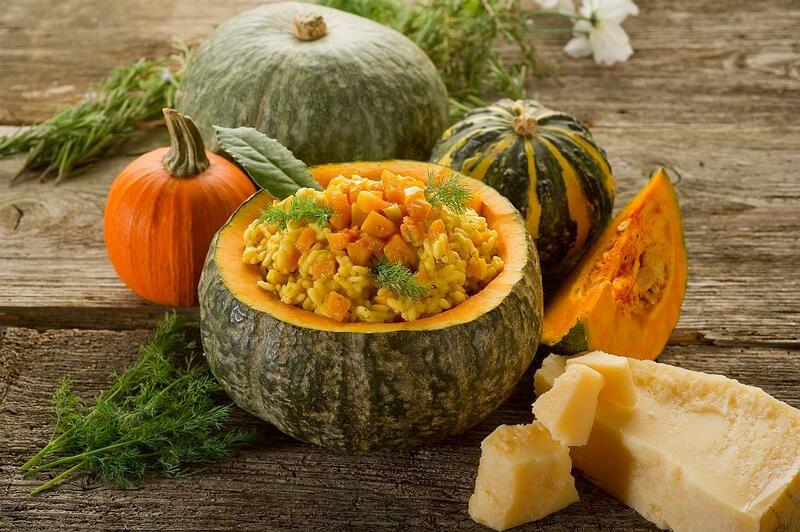 5When the risotto is ready, add the butter, pumpkin seeds, Parmesan cheese and toss well to coat.